A little backstory on my history with PinkBlush. Funnily enough, I did not discover them until after I was pregnant. Awhile back, a friend of mine (JeeYoung at Simply Every Blog) did a PinkBlush giveaway. That was the first time I had heard of PinkBlush. 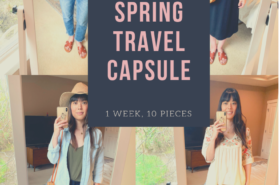 Fast forward months later, and I am obsessed with their stylish, comfortable pieces that really seem to fit seamlessly into my lifestyle. Even better, one day if/when I am ever pregnant again, I will be able to wear some of my PinkBlush pieces well into pregnancy! 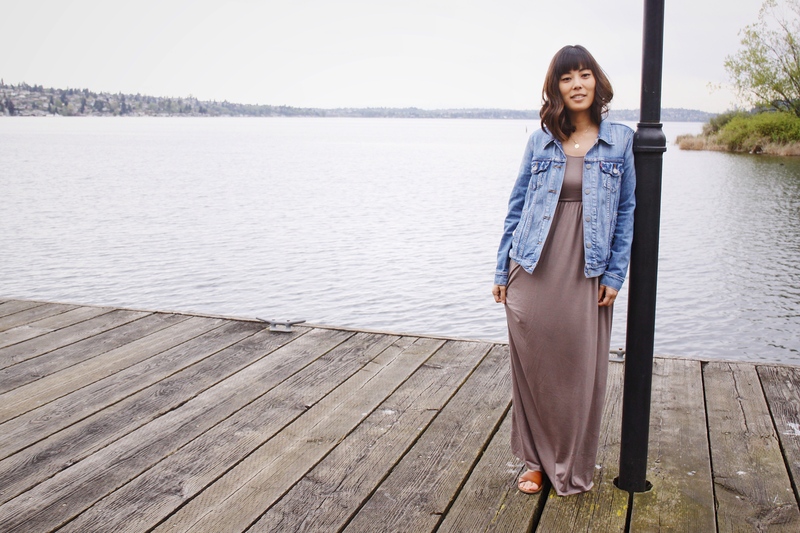 I teamed up with PinkBlush to style this neutral taupe maxi dress and it is my favorite maxi EVER! It is so comfortable, breezy, and flattering to my body. 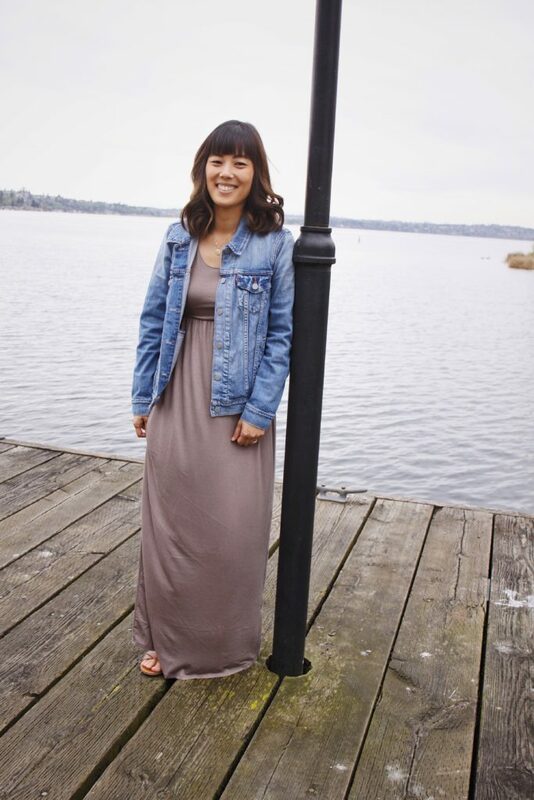 As the weather warms up, I try to incorporate at least one maxi dress into my every day wardrobe rotation. This one matches with multiple jackets, sandals, and booties. I am 5’6″ and didn’t need to alter the length. It doesn’t drag on the ground while walking, but I am at the cusp of needing to knot it at the bottom if I needed to really run around with (or after) Kaia. 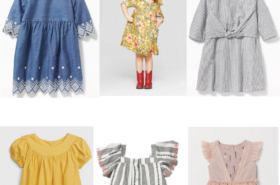 Have you shopped at PinkBlush before? Let me know if you have any questions! Gorgeous dress! Love how you paired it with the jean jacket as well! Love this maxi! It’s so simple but beautiful and versatile! Their clothes look so comfy! love this dress on you. Such a classic dress! I loved how you paired it with the jean jacket so chic! Love how you styled the dress – such a classic look!